URGENT - We Need YOUR Grassroots Efforts During the Lame Duck Session! The Centers for Medicare & Medicaid Services (CMS) has decided to temporarily delay moving forward with the next steps of the Round 2019 Durable Medical Equipment, Prosthetics, Orthotics, and Supplies (DMEPOS) Competitive Bidding Program to allow the new administration further opportunity to review the program [emphasis ours]. As a result, CMS has removed all information that was released on January 31, 2017, including information on the CMS.gov website and the Competitive Bidding Implementation Contractor (CBIC) website. Please continue to monitor the CMS.gov and CBIC websites for updates. Stay tuned for analysis and comments as it becomes available as this is great news for DME providers…this gives the new administration time to explore these regulations and programs. 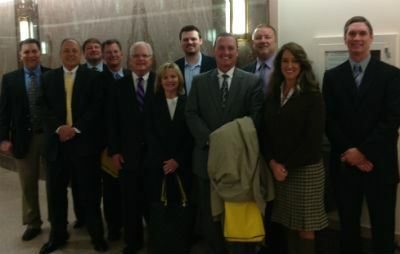 (R-NC) (pictured center with the North Carolina team) encouraged attendees, saying, “I know who you are, I know what you do…I am a huge proponent of Dr. Price’s bill.” And when asked advice on speaking with legislators, Rep. Ellmers told providers to concentrate on the bills you are in support of, when talking to members of Congress, and explain that if the cuts take place on July 1 it will end up effecting access to care and cost more in the end. Though Mrs. Ellmers won't be in the new Congress, she truly was our HME Champion! 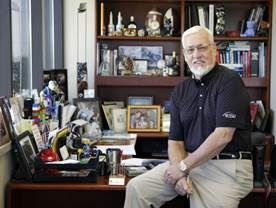 NCAMES sends its deepest sympathies to the VGM Family in the loss of an industry icon and great leader. 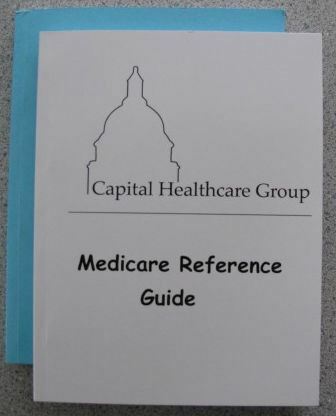 Do You Need a Handy Medicare Reference Guide? “This LCD Booklet is For You! These pocket-sized booklets feature the current Medicare LDC (Local Coverage Determination) for the most commonly prescribed DME items. Use them as marketing tools and educational items for your prescribers and your referral sources. Make sure that your customer service and billing staff have the current guidelines in hand to ensure that your business is providing equipment to beneficiaries that always meets Medicare requirements. (Dunn, NC) – Congresswoman Renee Ellmers (R-NC) attended a meeting with North Carolina medical equipment suppliers who are members of NCAMES (North Carolina Association for Medical Equipment Services) on Tuesday October 7 at Family Medical Supply headquarters in Dunn, NC. Representatives from Brightree, MiraVISTA, MedGroup and VGM also joined the group. NC Tracks, Even a YEAR later, still has Major Problems. NCAMES continues to work with our Lobbyist, the General Assembly and the Department to push for solutions. NCAMES is grateful for Congresswoman Ellmers' continued support and efforts to bring attention to the devastating effects of the audit burden. 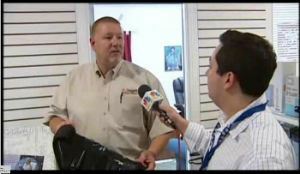 Please watch the video below of our Champion's questioning CMS regarding RAC and MAC audits. 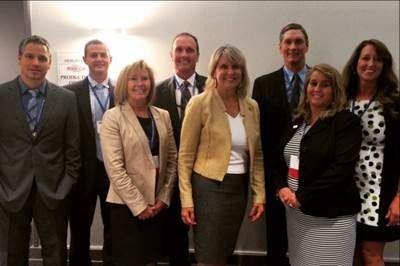 NCAMES was honored to have Congresswoman Ellmers as our guest at the NCAMES Summer Meeting. WASHINGTON, DC – The House Energy and Commerce Subcommittee on Oversight and Investigations, chaired by Rep. Tim Murphy (R-PA), today held a hearing, “Medicare Program Integrity: Screening Out Errors, Fraud, and Abuse,” to discuss what steps need to be taken to eliminate the waste of tens of billions of taxpayer dollars and strengthen the Medicare program. Members heard testimony from administration officials from the Centers for Medicare and Medicaid Services (CMS), the Department of Health and Human Services Office of Inspector General (HHS OIG), and the Government Accountability Office (GAO). During questioning, Deputy Administrator and Director at the Center for Program Integrity at CMS, Shantanu Agrawal, M.D., admitted to Murphy that the administration has failed to meet its target goal of a reduced improper payment rate for Medicare fee-for-service and that the improper payment rate had actually worsened over the last fiscal year. Click here to view Ellmers video. David Crabtree, anchor with WRAL-TV, goes behind the headlines for a more in-depth discussion of the issues - current topics, political discussions and news events every Saturday at 7:30 p.m. on WRAL-TV. Those of you in the Raleigh area can set your DVRs to tape the program (keep in mind, college football may preempt the program) but you can visit this site for a recording of the show that goes online by 2pm Saturday. 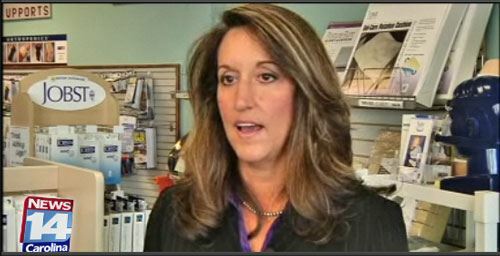 GOVERNOR McCRORY - CALL (919) 814-2000 to register your complaints. Speaker Tillis: Thom.Tillis@ncleg.net or 919-733-3451? They need to understand the SEVERITY of the issue rather than the thought that NC Tracks is operating as it should. NCAMES Members lobbied DC this week to Save Patient Access, Business and Jobs but asking for DMEPOS Bidding to be STOPPED. Their message was passionate and clear…”we cannot survive with 45% and 72% cuts to the already deep cuts these last few years. Massive job loss and business closures will occur unless you stop this” The message has been heard and things are happening…stay tuned! Continue to call Congress with the same message – 202-224-3121. Call the U.S. Capitol Switchboard at 202-224-3121 and join in the efforts of expressing your frustration about the current bidding program. NC Representatives and Senator's office numbers are listed below. If you do not know who your representative is, call the U.S. Capitol Switchboard and give your zip code to be transferred to your representative. We are at that point where attention and support from legislators is critical in working to replace this flawed system. As an industry we need everyone's help! Even if you are not able to make the trip to DC, the same impact can be delivered through a passionate phone call. Mark your calendars and get your dialing fingers ready to call your legislator February 26-27! Step 2: Tell others to "Shutdown the Switchboard"
Reach out to employees, referral sources, patients, caregivers, and competitors and urge them to call their member of Congress at 202-224-3121. Also, forward them the petition to and ask to add their name along with yours. The People for Quality Care has a brochure that explains the Medicare competitive bidding program in simple terms for beneficiaries. Whether you display them on the front cover or give them to customers during deliveries, it will help to educate beneficiaries about the situation and encourage them to speak out to Congress. The best part is they are free to you! Click here to be directed to the brochure. Or, you can contact Beth Cox at beth.cox@peopleforqualitycare.org or 866-544-7913 with your address and the quantity you need, and VGM will send them directly to you. Opinions surrounding Medicaid expansion and the implementation of the state’s Health Insurance Exchange are garnering a lot of attention, as well they should. Unfortunately, the same can’t be said for the Centers for Medicare and Medicaid Services (CMS) recently enacted and soon to expand competitive bidding program for certain durable medical equipment and services. Click here for the rest of the article. After the NC State - Duke game on Saturday, Will Privette, an NC State fan decided to storm the court after the big win.....in his wheelchair. Click here for the rest of the story. Van Products Helps Out on The Big Day! Longtime NCAMES member, Van Products, Inc. provided van transportation for injured bride...Click here for the complete HME News story. 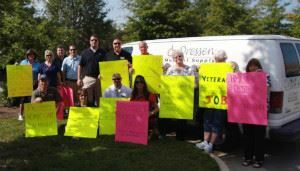 Dozens of stakeholders from the Triangle’s home medical equipment (HME) industry grabbed homemade signs and rallied for jobs around the corner from where President Obama touted his jobs bill at a local business that outsources jobs to Costa Rica. Organized by the North Carolina Association for Medical Equipment Services (NCAMES), the rally was designed to bring attention to Obama administration policies decimating home medical equipment providers and their employees, such as expansion of the disastrous Medicare bidding system for HME providers. Please click on this video link for an animated picture of the Medicare Competitive Bidding Fiasco – a short clip that can be shared with interested parties. Please share freely! Click on the image to watch the full story. Medical Equipment Advocacy and Education since 1989! "Strengthening our member companies, preserving quality care"